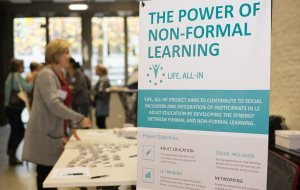 Embedding our main project output follows 'Life, All-In' Final Conference, where the Leader of the Language Policy Programme of the Council of Europe, Philia Thalgott, held a keynote speech on the LIAM initiative, on the 17th of November, in Antwerp. Participants attended the comprehensive presentation at the event which took place at the Atlas Integration Center and was hosted by the project lead partner GO! CVO Antwerpen. 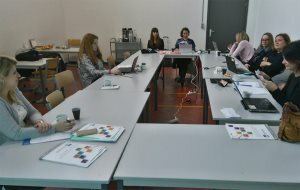 In addition to discussing the LIAM policy initiative of the Council of Europe, Philia Thalgott attended the conference workshops led by ‘Life, All-In’ project partners’ representatives, interacting with participants who were mostly L2-teachers, L2-policy makers and adult education providers coming from Belgium, Finland, Italy, Macedonia and Norway. During the conference, the project toolkit was presented in detail by lead partner’s representative, Birgit Steurs, Deputy-Director, Language department, GO! CVO Antwerpen. 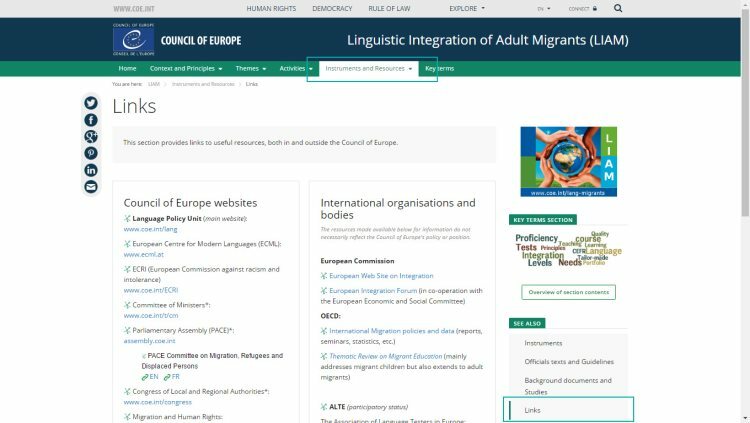 You can find more information on the Council of Europe Language Policy at www.coe.int/lang, and more about the Linguistic Integration of Adult Migrants (LIAM) initiative available at www.coe.int/lang-migrants. In addition, the ‘Life, All-In’ toolkit will also appear on the forthcoming website for the toolkit for volunteers of the Council of Europe, which is expected to be released during 2017. 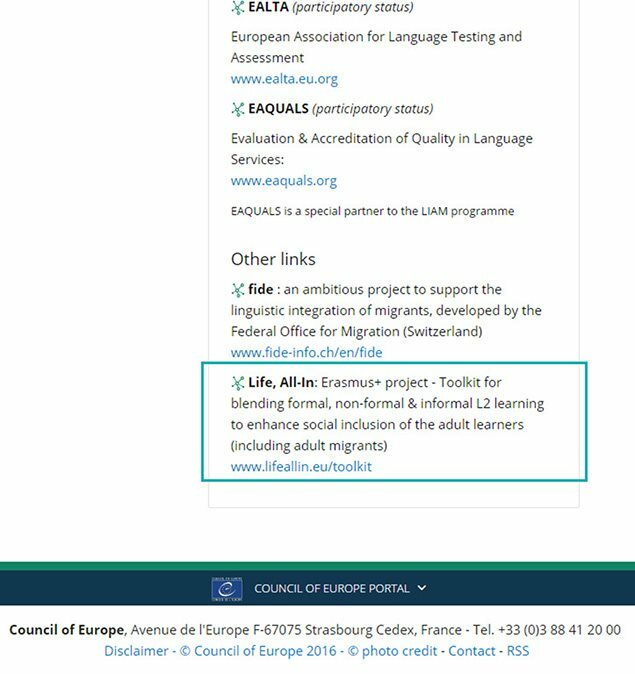 You can also share your good practice activities combining formal and non-formal learning in L2 to enhance social inclusion of adult learners, including adult migrants via this form. By the end of December 2016, the ‘Life, All-In’ project will be concluded and all additional project outputs will be uploaded on our website. Our project team believes they represent valuable sources of information and methodologies on blending L2 learning, and highly recommends sharing them with your wider networks.